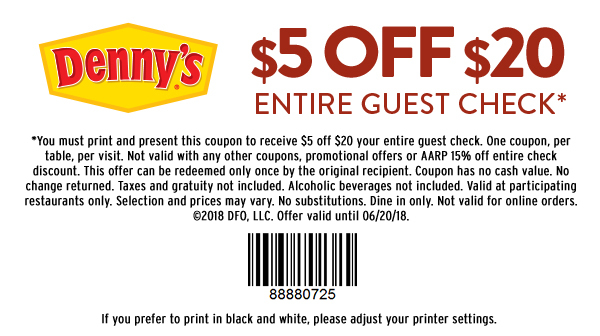 Heading to Denny's this week? Take this $5 Off a $20 Purchase Coupon with you! Limit one coupon per table, per visit. Not valid with any other coupons or promotional offers. Excludes alcoholic beverages. This coupon is valid through June 20th.